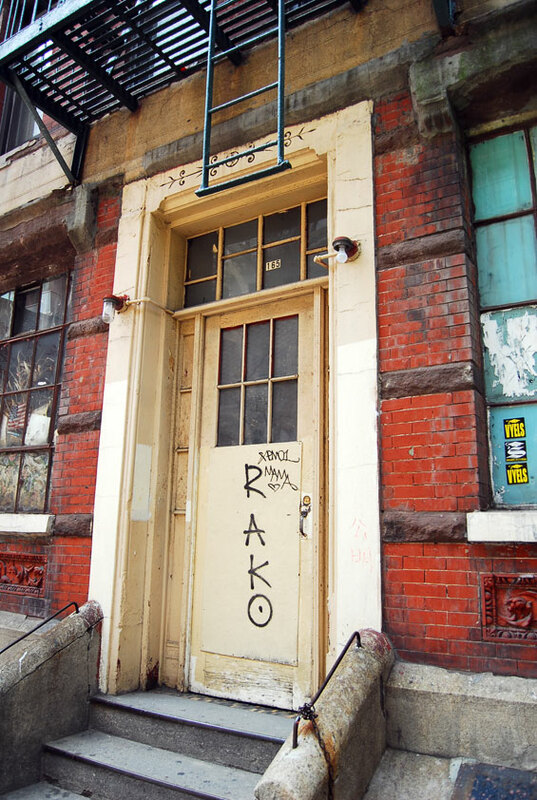 Address: 165 Mott Street, Manhattan. 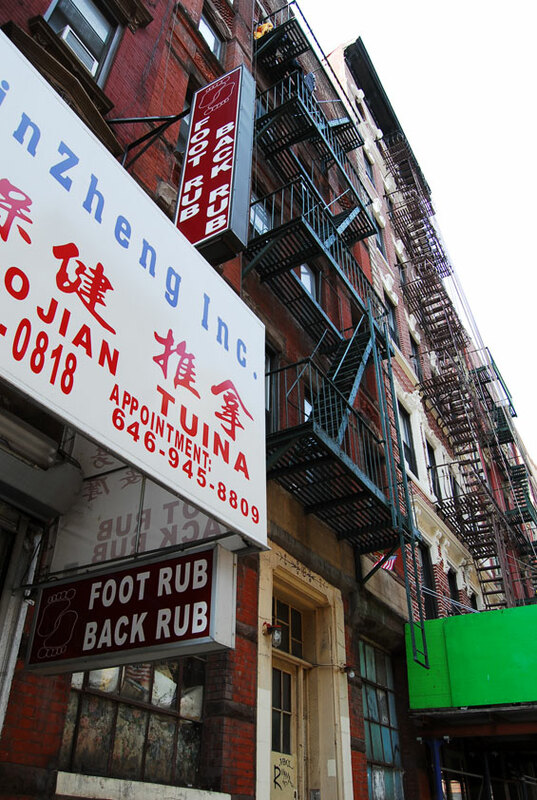 The apartment building is located deep in the heart Chinatown, New York City. 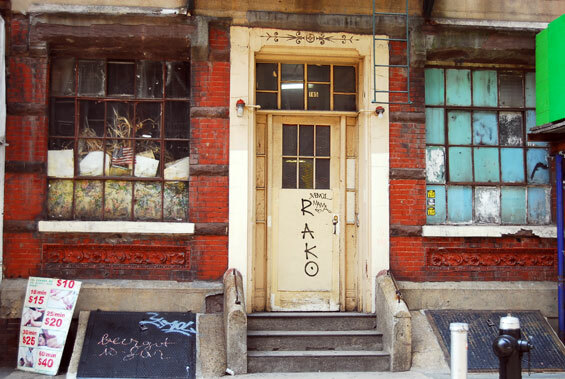 Violet Sanford rents a partly furnished apartment deep in the heart of Manhattan's Chinatown. The apartment consists two floors up from the main entrance and has 3 rooms; a bedroom, a kitchen and bathroom. Violet left her hometown of South Amboy, New Jersey, her father Bill and best friend Gloria to pursue her dreams of becoming a songwriter in New York City. She moved into the small apartment building along Mott Street in Chinatown and took a job at a trendy bar in the Meatpacking district named Coyote Ugly to help pay for the rent. Unable to sing and record her songs in her paper-thin-wall apartment, due to the neighbours complaining, Violet will often go up to the roof, where she is free to make a much noise as she likes. 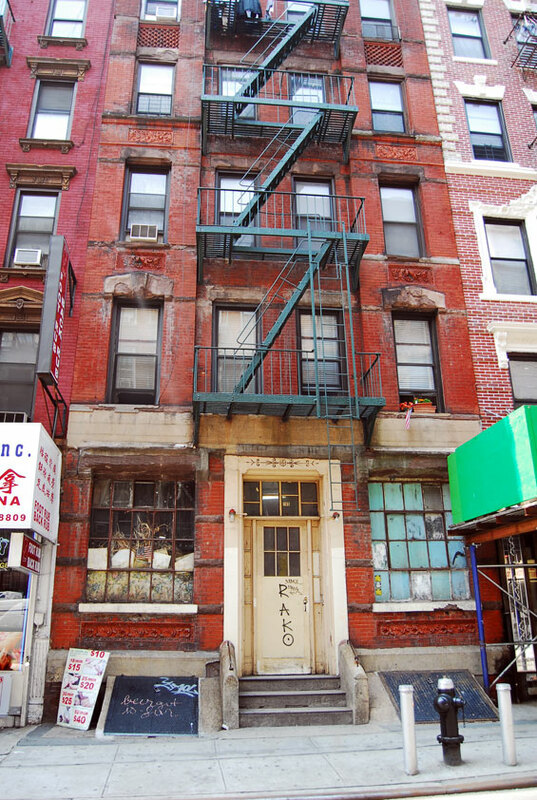 The property at 165 Mott Street is a multi-family residence with 5 units and was built in 1920. Mott Street is a narrow but busy thoroughfare that runs in a north-south direction in the borough of Manhattan in New York City in the United States. It is best known as Chinatown's unofficial Main Street. 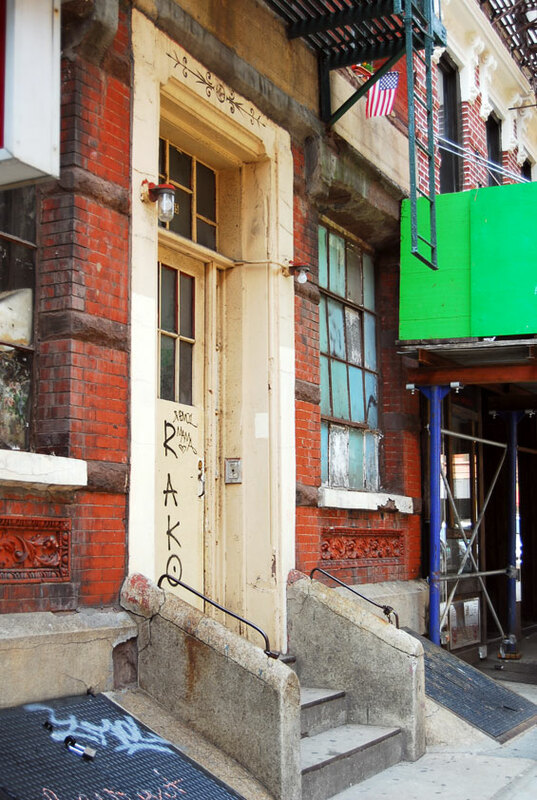 Mott Street runs from Chatham Square in the south to Bleecker Street in the north. It is a one-way street, southbound. otsoNY Comments: The property was used for interior and exterior use. Today, the apartment building is still there for fans to see. Mott Street existed in its current configuration by the mid-18th century. At that time, Mott Street passed just to the east of the Collect Pond. Like many streets that predated Manhattan's grid, Mott Street meandered around natural features of the landscape rather than running through or over them. It was the need to avoid the now long since paved over Collect Pond that gave Mott Street its characteristic "bend" to the northeast at Pell Street. Having been previously known as Old Street, as well as Winne Street (also spelled Wynne) for the section btw Pell and Bleecker, Mott Street was renamed in the late 18th century to honour the prominent local family of the same name, likely in particular businessman Joseph Mott, a butcher and tavern owner who provided support to the rebel forces in the American Revolution. During the 19th Century the lower portion of Mott Street south of Canal Street was part of the Five Points, a notorious slum neighbourhood in New York City. 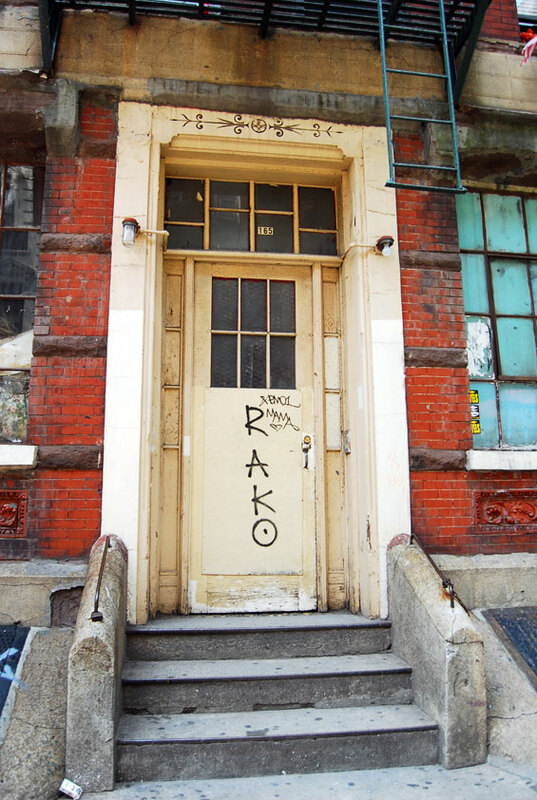 In 1872 Wo Kee, a Chinese merchant opened a general store on Mott Street near Pell Street. In the years to follow, Chinese immigrants would eke out an enclave around the intersection of Mott, Doyer and Pell Streets. At the time, it was the Cantonese immigrants migrating and it first began as a very small Bachelor's Society since it was mostly Chinese males migrating over at the time. It was mostly Cantonese immigrants coming from Taishan, China so as a result it was first a Taishanese community. That all changed during the 1960s when an influx of other Cantonese immigrants from Hong Kong began to arrive over with some Taiwanese immigrants as well. As a result, Chinatown began expanding quickly and Standard Cantonese, which is spoken in Guangzhou, China and in Hong Kong became the dominant language of the Chinatown neighbourhood. At the time, Chinatown was emerging and growing as a Little Hong Kong, but the growth slowed down later on. Manhattan's Chinatown has grown into the largest Chinatown in the United States, engulfing a large swath of the Lower East Side. But the historic heart of Chinatown, as well as the primary destination for tourists is still Mott Street btw Canal Street and Chatham Square.